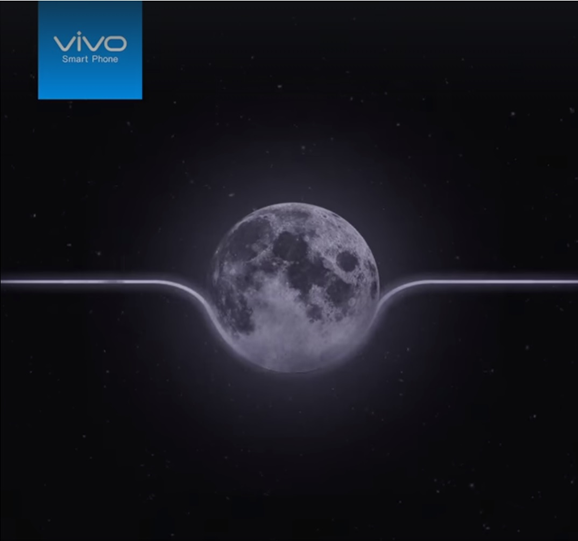 Global smartphone brand Vivo has been known for its high-technology innovations that have wowed the world several times over. But it has also been a pioneer of various consumer-centric smartphone designs. Starting August 20, the fastest growing smartphone brand has teased tech-savvy followers with a series of mysterious videos posted on its social media pages. The latest was a video of the moon with its shape emphasized by a curved line, a hint of the look of the next flagship smartphone. “The galaxies coalesced. Prepare for something greater. #GoBeyond,” Vivo wrote in its latest post. For its latest smartphone releases, Vivo has pushed the boundaries of the screens based on various studies and insights on what its consumers want. In 2017, Vivo released the V7+, which has a 5.99-inch AllScreen Display that offers a wider visual experience without compromising a comfortable grip. This gives those on the go a chance to enjoy a bigger screen for gaming, reading, or watching videos. Vivo followed up the V7+ with the release of the V9 in 2018. It was their first flagship smartphone for the year with the notch. The V9 features the new 19:9 FullView™ Display that has a massive 90% screen-to-body ratio that gives users a wider look into the digital world. The Vivo V9 may be as compact as the 5.5-inch phone, but it was able to attain a 6.3-inch screen. Halfway through the year, Vivo released the Vivo X21, its first X-series smartphone in the Philippines. It still has an iconic 19:9 FullView™ Display. But it has a bigger screen-to-body ratio of 90.3% to provide a more impactful visual experience for gamers and video hoarders. But Vivo was able to get closer to its target when the Vivo NEX was released in some markets in June. The NEX introduces the Ultra FullView™ Display experience with a whopping 91.24% screen-to-body ratio. Vivo was able to achieve this by pioneering the 8-megapixel Elevating Front Camera that hides in the body when not in use. It also introduces the Screen SoundCasting Technology that replaces the traditional earpiece speaker entirely and cutting the bezel size. For inquiries about Vivo, visit the Vivo website at vivoglobal.ph or check out their Facebook, Instagram, and Twitter accounts.